​​​ RICHARDSON – Pillar Commercial teamed up with Ascent Real Estate Advisors of New York to buy the 2703 Telecom Pkwy. building near the Bush Turnpike. 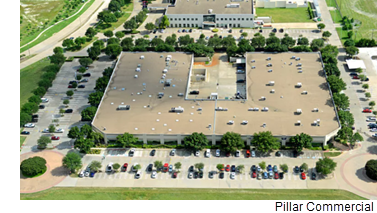 The 121,420-sf building was constructed in 1997 and is leased to Hill & Wilkinson, XPS Solutions, and Bestway. The seller was a private family investor. ​S​ee also: Dallas-Fort Worth-Arlington Office Market Research.